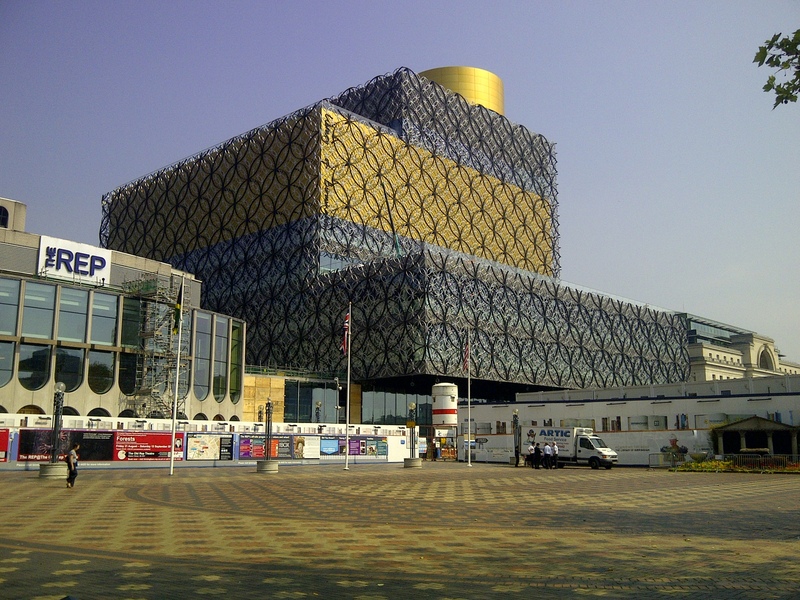 Birmingham’s new Library, intended to foster conversations and the exchange of knowledge and ideas..
(I’ve recently begun guest blogging at UBM’s new Future Cities site; this was the first article I posted there. It builds on themes I first explored here in the article “The new architecture of Smart Cities“). At Birmingham’s Smart City Commission, we have been trying to answer an interesting question: What makes the difference between a “smart city” and a city where smart projects take place? “Smart” projects will occur everywhere in time. Human history is in part the story of our continual adoption of new technologies, and technologies like sensors, actuators, smartphones, analytics, and “big-data” will eventually be adopted across city systems such as transportation, energy, planning, and social services. But if a city seeks to exploit new technologies across its systems in a coordinated way to address overall goals for regeneration, sustainability, and social and economic growth, how can that be achieved? Some obvious characteristics can be observed in cities that have successfully pursued this agenda: They have a clear vision, championed by city leaders, and they have invested in technology initiatives such as broadband connectivity and open data. That’s not enough, though. The behaviour of a city is the aggregate of the activity of the hundreds of thousands or millions of people who live, work, and relax there. A city will not achieve its goals through a smart strategy unless that strategy results in changes to systems that make a difference to all of those individuals. The challenge for architects and designers is to create infrastructures and services that can become part of the fabric of city life. This will not be achieved simply by applying concepts such as citizen-centric principles to the design of smart city services. That is necessary, but not sufficient. The more important question is: Who has the ability to apply such approaches on behalf of all of the people within a city? (The remainder of this article can be found on UBM’s Future Cities site, as “Why Cities need Communities“).